Update: Here are the retail prices for ZenPad tablets in Canada! ZenPad S 8.0 (Z580CA), the true hero tablet with the Intel Z3580 @ 2.3GHz, 4GB RAM and 64 GB storage is just $299 US. ZenPad S 8.0 (Z580C), a slightly less robust tablet than the Z580CA listed above, this model has Z3530 processor, 2GB RAM and 32GB storage, price is $199 US. ZenPad 10 (Z300C) is priced at $179 US. ZenPad 8.0 (Z380C) is a price of $149 US. ZenPad 8.0 (Z380CX) is priced at $129 US. ZenPad C 7.0 (Z170C), same specs as Canada model, price is $99 US. 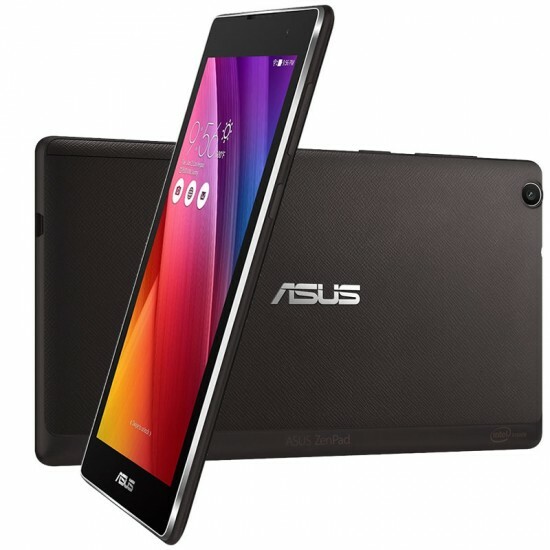 W e’ve been keeping tabs on the Asus ZenPad line-up of tablets that are set to launch in July. We are offering up some breaking news for you! You aren’t going to find the ZenPad S 8.0 prices anywhere right now. The Z580CA is the true hero tablet coming from Asus and the Z580C is a slightly less packed version. But we are going to share the prices here for the ZenPad tablet line-up. In some instances we are 99% confident and in other cases we are say, 90% confident. The issue regarding accuracy is always slightly up in the air until you get an official statement from a company, in this case Asus. We could look bad on these prices if our source turns out to be bad, but at some point you have to have confidence in your sources. We do, which is why we’re going with this information now. We dug up this information ourselves. When you take a certain country and look at their prices, it’s not as simple as just converting to your currency and calling it a day. Products are simply priced differently from country to country. That said, here is what we got. Oh, just to confuse the price list more, we can tell you that there is not just one version of the ZenPad S 8.0 (Z580CA). There will be models with 2 different processors. In addition, they can come with either 2GB or 4GB of RAM. As a result, the models we list here may not even come to Canada at all. However it gives the basis for the prices in Canada and the US market. If the pricing is anything like the recent Asus Zenfone 2, then the USD prices will be the same for the Canadian market. Let’s hope! We should mention that the true hero ZenPad Z580CA with the Intel Z3580 processor, 64GB storage and 4GB of RAM is not listed above. Our reasoning is that we can list an estimate only. If we base the price on the $229 model above, more RAM and faster processor might put the Z580CA, fully packed model, up around $299 to $349 USD. If Asus puts 64GB, 4GB RAM and the Z3580 processor in that hero version, then it could go up to $349 USD. Again, we’re going with a bit of gut feel on this. So using the Zenfone 2 pricing, there is a $100 price difference between 2 models. One has faster processor, double the ram, but 4 times the storage. The storage in the ZenPad example will only double, but there is the consideration of the USB Type-C port and because it’s a new technology, we cannot say if that would mean that the price would jump by more than a $100. But going from 2GB to 4GB RAM, going from a 1.8GHz to 2.3GHz processor and going from 32GB to 64GB storage certainly could put the fully packed Z580CA model above the $300 price point. The reason we like these ZenPad tablets is because of where they will be priced in comparison to the Samsung offerings and the Apple iPad offerings. Asus really shook things up in the market with their recent Zenfone 2 unlocked smartphone and we expect that their hero ZenPad, the ZenPad S 8.0 (Z580CA) is set to beat most if not all the competitors in its class. Zenfone 4 prices leaked (Taiwan) – Don’t have a cow man!